@BifBangPow: Bif Bang Pow! 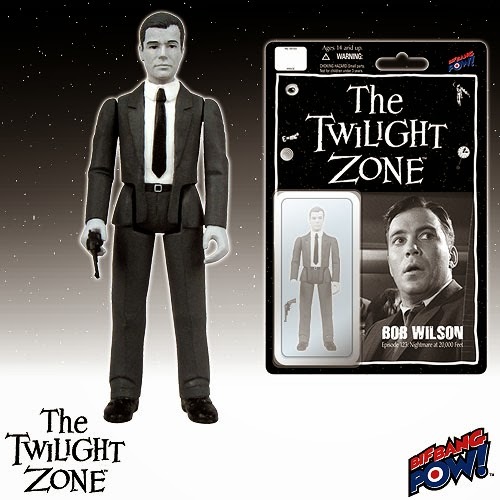 All-New The Twilight Zone 3 3/4-inch Action Figures! Bif Bang Pow! 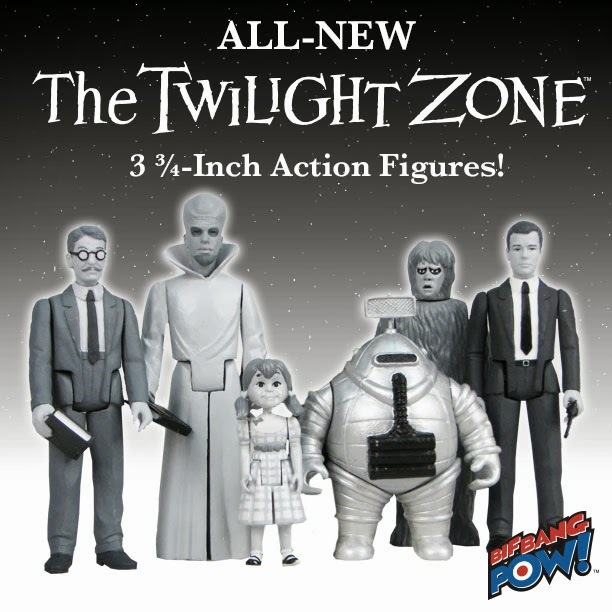 All-New The Twilight Zone 3 3/4-inch Action Figures! LOS ANGELES, CA (March 12, 2014) - World-renowned manufacturer Bif Bang Pow! 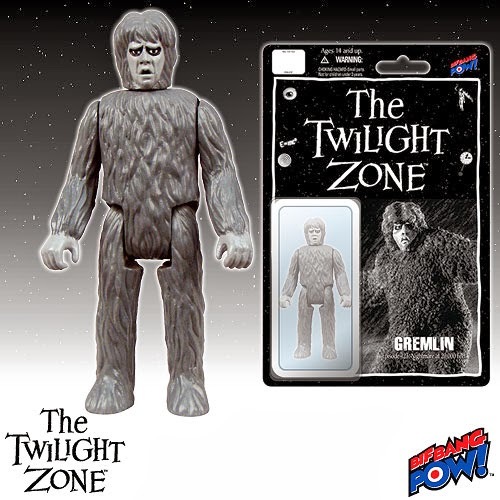 announced a creative partnership with ZICA Toys in conjunction with David Lee, makers of high-quality retro-style toys and action figures, to produce a line of The Twilight Zone 3 3/4-inch retro action figures scheduled to ship in the Fall of 2014. 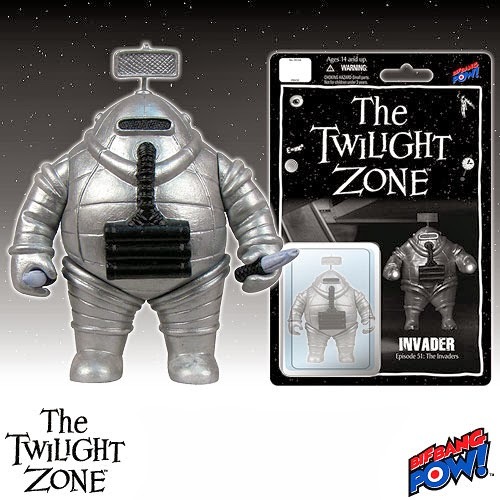 The collection will focus on some of the most iconic characters from The Twilight Zone series - including William Shatner's nervous airline passenger Bob Wilson and the Gremlin that wants him to crash, both from the terrifying episode "Nightmare at 20,000 Feet"; the sly alien Kanamit from "To Serve Man"; the Invader from Agnes Moorehead's "The Invaders" episode; Burgess Meredith's avid reader Henry Bemis from "Time Enough at Last"; and Talky Tina, the doll that spells doom for Telly Savalas in the "Living Doll" episode. These 3 3/4-inch retro action figures will be produced in classic black-and-white, matching Bif Bang Pow! 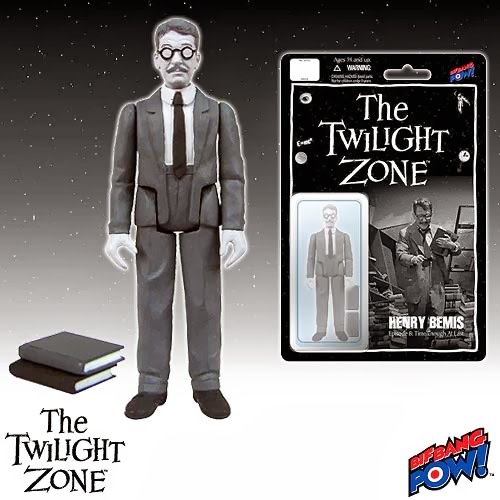 's popular 8-inch line of The Twilight Zone figures, accompanied by an extremely limited edition color series. 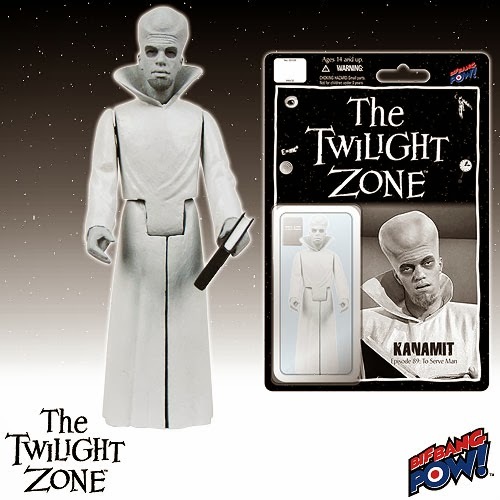 "We're excited for our The Twilight Zone action figures to be the first Bif Bang Pow! property to 'enter another dimension' in 3 3/4-inch scale," said Jason Labowitz, President of Bif Bang Pow!. "It's been great to work with a notable company like ZICA Toys to create these action figures for avid fans and collectors of the celebrated TV series." "ZICA Toys is very excited to be working with Bif Bang Pow! on their new lines of retro 3 3/4-inch scale action figures," said Craig Owen, Owner of ZICA Toys LLC. " They've got some really great properties planned for this format, and I'm looking forward to helping them make some very cool stuff!" 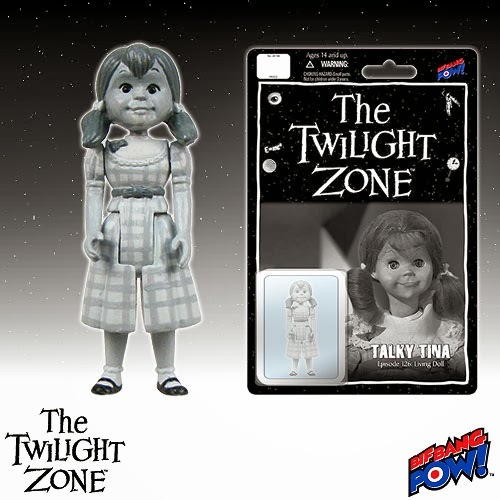 The Twilight Zone 3 3/4-inch action figures are now available for pre-order at Entertainment Earth. Pre-order them here! Bif Bang Pow!™ (bifbangpow.com) produces first-rate collectibles for such popular properties as Star Trek™, Dexter®, The Big Bang Theory™, Saturday Night Live™, Adventure Time™, Regular Show™, Penny Dreadful ™, The Venture Bros.™, The Six Million Dollar Man™, Battlestar Galactica™, NCIS™, and The Twilight Zone™. Founder Jason Lenzi is a seasoned television producer and the ultimate fan of cultish pop culture. So when he created his company in 2005, he took the fan's perspective. His idea was to bring items to the marketplace that he himself would want to own. Cultivated from TV, movies, books, comics, music, and more, Bif Bang Pow! 's mission is to provide high-quality action figures, toys, and collectibles to the massive cult audience (and kids of all ages) that wishes these toys were already in their collection. ZICA Toys is a company with two goals in mind: to make high quality, retro style toys and action figures... and to have a lot of fun in the process. Craig Owen, the owner of ZICA Toys, grew up during the 70's spending countless hours playing with some of the best toys of that era. Trying to recapture the fun and excitement from those days is the primary reason why ZICA Toys was created.